Based in Madrid, Petroleum Oil and Gas Espana S.A. operates as a hydrocarbon exploration and production company. It explores for and produces gas in Spain’s Guadalquivir valley. The company will host the secondment and co-supervise ESR 1 as well as co-organize two short courses. GEPlan Consulting is a consulting firm formed in 2003 that can provide innovative and integrated services for new join ventures and for exploration, appraisal and development projects. It has specialistic skills in Carbonate Sedimentology, Reservoir Fracture Analysis, Reservoir modelling, Thrust Belt and Foreland domains seismic structural characterisation and Circum-Meditarranean Oil and Gas Prospectivity. GEPlan offers a wide range of surface and sub-surface expertise and experience in the characterisation of complex reservoirs from exploration to development through the integration of different studies that spans from outcrop analogues studies to image log characterisation, core description, seismic interpretation aimed to the reservoir modelling. Since the beginning of its activity GEPlan has been intensively working in the Middle East, Africa, Europe, USA, Latin America, Barents Sea and recently in India. GEPlan also organises and run training courses for international associations, training companies and oil companies. GEPlan will host the secondment of ESR 3. Created in 1953, Eni is an Italian major integrated energy company committed to growth in the activities of finding, producing, transporting, transforming and marketing oil and gas, with 84.000 employees in 83 countries, 40 of them with Exploration & Production assets. ENI is currently involved in exploration activities in the Mediterranean area (Offshore Italy, North Africa, Levantine basin). ENI will host the secondment of ESR 10. Created in 1992, Ratio Oil Exploration is a Israeli Exploration & Production limited partnership, that explores, develops and produces oil and gas reservoirs in the Eastern Mediterranean Sea. Ratio’s main asset is the Leviathan field, a ~22 Tcf natural gas turbidite field. RATIO will host the secondment of ESR 11. Delek Drilling LP and Avner Oil Exploration LP are Israeli E&P limited partnerships, that explore, develop and produce oil and gas reservoirs offshore Israel and Cyprus. Delek & Avner have significant holdings in the Leviathan, Tamar and Aphrodite fields, and in the last decade discovered with their partners over 40 TCF of natural gas. 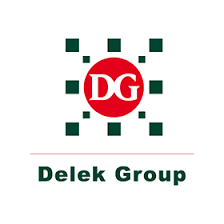 DELEK will host the secondment of ESR 11. Founded in 1999, Volcanic Basin Petroleum Research AS (VBPR) is a research and consulting company based in Oslo, Norway. VBPR work on integrated geological and geophysical interpretation projects and seafloor sampling studies in volcanic basins and margins around the world. VBPR will host the secondments of ESR 12 and 13. – Sverre Planke (Geophysicist and VBPR’s CEO). Knauf Gips KG is part of the Knauf Group. 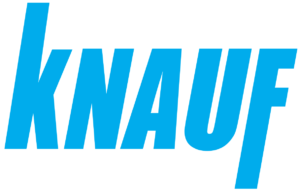 The Knauf Group is engaged in various business activities related to gypsum extraction, production of gypsum and plaster products as well as insulating materials. KNAUF produces in more than 220 plants worldwide in more than 80 countries. There exist more than 70 KNAUF raw material processing plants and more than 26,000 employees are working for Knauf on all continents. KNAUF will host the secondments of ESR 6 and 8. – Prof. Dr. Matthias Reimann (KNAUF’s Head of Geology Department). 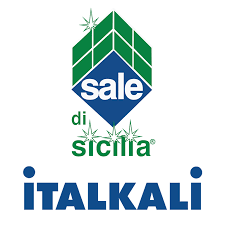 Italkali – Società Italiana Sali Alcalini SpA – is among the leading companies in Europe for the extraction, processing and export of salt. Operating on the market for more than 40 years, it is the main actor on the national market and has a leading position in the European market for the salt domestic and industrial use. ITALKALI will host the secondment of ESR 4. 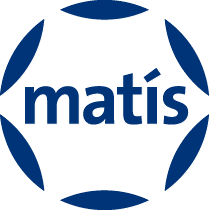 Matis Ltd. is an Icelandic Research & Development institute founded in 2007 with 130 employees which focusses on environmental research, food research and biotechnology. Matis has top facilities at its laboratories, performing cutting edge research in close collaboration with various universities, institutes and industry in Iceland and worldwide. MATIS will host the secondment of ESR 9. 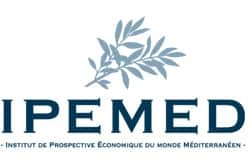 The Mediterranean world Economic Foresight Institute (Institut de Prospective Economique du Monde Méditerranéen – IPEMED) is an independent Euro-Mediterranean think tank. Founded in 2006, this non-profit association aims to integrate the countries to the North and South of the Mediterranean via economic means. IPEMED raises awareness of the common future and the convergence of interest of the Northern and Southern countries of the Mediterranean. IPEMED will host the secondment of ESR 14. 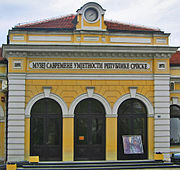 Founded in 1930, the Museum of the Republic of Srpska is the biggest museum in the Republic of Srpska (one of the two constitutional entities of Bosnia and Herzegovina). It is a diversified museum with departments for archaeology, history, natural history, ethnology, ethnomusicology, history of art whose main goal is to care for cultural heritage. 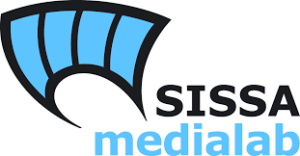 Sissa Medialab (SISSA) is an Italian company owned by SISSA – International School for Advanced Studies (Trieste). Sissa Medialab organizes events and educational programmes, produce innovative media to communicate science to different audiences, offers consultancy for the development of permanent and temporary exhibitions. It has collaborated with several companies and research centres, institutions and networks. Established in 1595, Bristol is one of the most popular and successful universities in the UK and was ranked within the top 5% of universities in the world in the QS World University Rankings 2019. Bristol is organised into six academic faculties composed of multiple schools and departments in which the School of Geographical Sciences, internationally renowned for its palaeoclimate research. UBRI will host the secondment of ESR 5. The University of Torino (UTOR) is one of the most ancient and prestigious Italian Universities. Nowadays, UTOR has about 70.000 students, 4.000 academic, administrative and technical staff, 1800 post-graduate and post-doctoral students and 120 buildings in different parts of the city. It carries out scientific research and organizes courses in all disciplines, except Engineering and Architecture. UTOR will host the secondment of ESR 8. 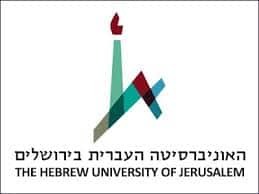 Founded in 1918, the Hebrew University of Jerusalem (HUJI) is Israel’s first and largest university. It is a multidisciplinary institution of 23,000 students, 7 faculties, more than 100 research centers, and 315 academic departments. HUJI has been ranked among the top universities in the world in two comprehensive surveys conducted by The Times Higher Education Supplement of London (52nd in the Sciences) and Shanghai University (65th world ranking). 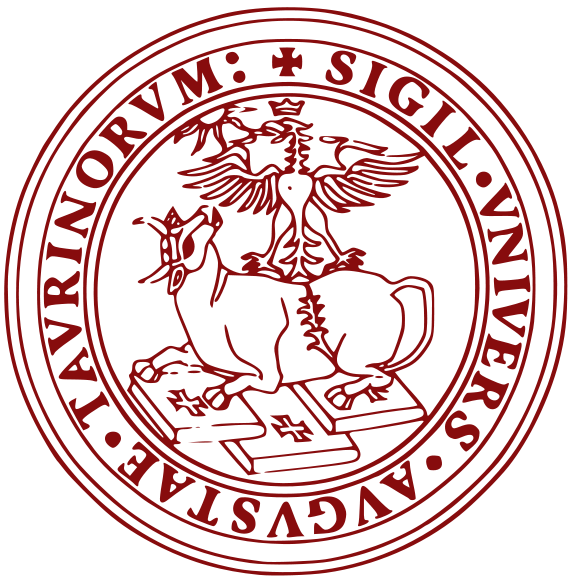 Founded in 1361, the University of Pavia is one of the oldest academic institutions in Europe and one of the best universities in Italy, according to national and international rankings. This multidisciplinary university welcomes almost 24000 students, 900 professors and researchers organized in 18 departments. The Department of Earth and Environmental Sciences is one of these; it is formed by 48 persons of teaching staff, 36 persons of technical and administrative staff, ca. 60 researchers enrolled as PhD students and other types of temporary positions. UPAV will host the secondment of ESR 2. Created in 1969 and based in Toulouse, the University of Toulouse is one of the largest scientific universities in France. It offers of multidisciplinary education in the fields of science, health, engineering, technology and sports and has a staff of 2500 professors and researchers. The GET (Geosciences-Environment-Toulouse) Laboratory is part of the Department of Universe, Space, Planets and Environment (UPEE). The GET is involved in research and training activities in the Earth and Environmental sciences. The GET includes 165 permanent searchers and technical and administrative persons and about 65 researchers enrolled as PhD students and other types of temporary positions. The GET will host the secondments of ESR 2, 3 and 13. Founded in 1832, Durham University has an excellent worldwide reputation in all areas of arts, humanities, natural and social sciences (ranked 61st in the QS World University Rankings 15/16). The University has around 17,500 students (of whom 3,500 are postgraduate and 3,000 international students from over 120 countries). UDUR will host the secondment of ESR 14. The Centre for History of Science (CEHIC) at the Universitat Autònoma de Barcelona is a leading research and teaching centre in the history of science, technology and medicine in Catalonia and Spain, and one of the foremost research centres of the discipline in southern Europe. The CEHIC has 10 permanent faculty members, an average of 2 postdoctoral fellows every two years, and more than 20 affiliated members coming from within the UAB and beyond. CEHIC will host one of the secondment of ESR 1. CEHIC will host the secondment of ESR 15. 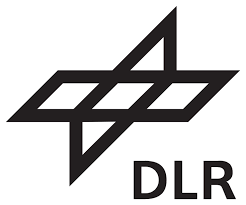 DLR is Germany’s national research centre for aeronautics and space. Its extensive research and development work is integrated into national and international cooperative ventures. As Germany’s Space Agency, the German federal government has given DLR responsibility for the forward planning and implementation of the German space programme as well as international representation of Germany’s interests. DLR has approximately 8000 employees at 20 locations in Germany. DLR will host the secondment of ESR 9. Located in Germany, the University of Bremen has 25 years of experience in marine research. Within the Research Center / Cluster of Excellence MARUM world-class research is carried out in the fields of sediment dynamics, ocean and climate and geosphere-biosphere-interactions. 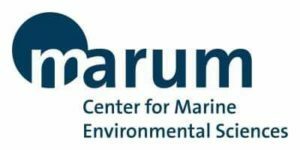 MARUM trains future generations of ocean experts within an international and interdisciplinary framework, and expands public awareness of the importance of the marine environment. MARUM will host the secondments of ESR 10 and 12. 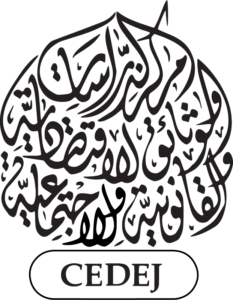 The Centre of economic, legal and social studies and documentation (CEDEJ) is a multidisciplinary research centre in social and human sciences whose works deal with contemporary Egypt and Sudan. Created by the Franco-Egyptian cooperation agreement of 1968 and based in Cairo, the CEDEJ is placed under the administrative supervision of the CNRS and the French Ministry of Foreign Affairs and International Development. In 2016, the center has 34 permanent staff members, including 25 contractors, 6 local agents, and 4 researchers, in addition to interns, scholars, researchers and associates. CEDEJ will host the secondment of ESR 14. 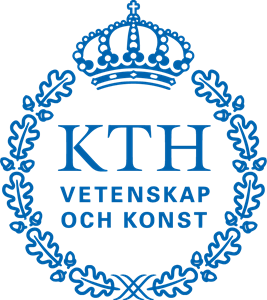 Founded in 1827 and based in Stockholm, the KTH Royal Institute of Technology is the largest and oldest technical university in Sweden. Its Division of History of Science, Technology and Environment, with the KTH Environmental Humanities Laboratory, is an integrative post-disciplinary division for research, education and societal engagement. The Division has strengths in the fields of environmental history, history of the polar regions, and the history of marine and coastal research (including from cultural and political perspectives). KHT will host the secondment of ESR 15.